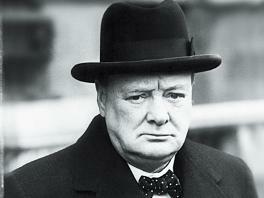 I recently watched the movie Darkest Hour the story about Winston Churchill. It tells the story of the beginning of World War 2 and how Churchill rose to leadership and how he provided leadership at that critical time in history. I also have recently read the story of Patrick Henry and his part in moving our country to become independent and free. Winston Churchill was willing to take great risks and even fail because he believed he was doing what was right and best for his country. Many people around him criticized and questioned most of his decisions, yet he continued to stay the course and boldly stand firm. There were moments of questioning himself and dealing with fear directly. However, he did not allow the fear to paralyze him, he talked to different people to get new perspectives when his inner circle began to crumble. Patrick Henry also showed great boldness as one of the first people to openly speak out against England and the oppression they were imposing on the colonies. His steadfast boldness encouraged many others to also stand firm in the face of fear. Boldness helps you communicate your message more effectively – Appropriate boldness brings power to your message. Sharing your message with confidence and passion gets peoples attention. Bold people speak up when asked to give their opinion, because they have thought deeply about the issue at hand and are clear about what is right and best for the organization or country. Even if they are not completely clear on how to gt there, they are willing to take risks to make progress and get the right things done. Boldness will improve your relationships – People that are not afraid to have the hard conversations in life have some of the healthiest relationships. They keep short accounts and resolve issues. Other people like being around people that are confident and value living and influencing over simply existing and staying in their comfort zones. Appropriate boldness requires having composure and intentionally working on relationships before they get worse. Bold people are often criticized – If you are bold and passionate about something you will most likely get criticized and even ridiculed. True boldness gets you through those low times of rejection and failure. You are not a great leader if you have never been criticized, questioned and ridiculed. Boldness keeps you pressing forward. Boldness takes a positive outlook on life – Bold people think positive and believe the best. Nothing kills boldness faster than a pessimistic outlook or negative thinking. If you focus on what could go wrong your boldness dwindles but when you focus on what can go right your boldness grows. When a person is not bold they often miss opportunities to influence and make a difference. Of course you can be bold for wrong reasons and sometimes people will be more of a bully than a bold person. Character matters when it comes to being bold. Sometimes the most bold thing you can do is not fight back but forgive and love. Stand up for what is right and good and protect the weak and oppressed. Be bold about things that make the world a better place and serve other people, that’s appropriate boldness. How healthy are you? Most people would answer that question by talking about their physical health. We start talking about aches and pains and our weight. 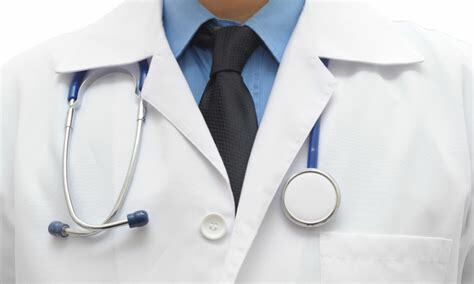 We talk about needing to exercise more and eat better and maybe go see the doctor. But we don’t often think about our emotional health or our spiritual health or our relational health. When I think about being healthy I think about mind, body and soul. If those three are not healthy we are in trouble. When one is not healthy it can affect the others. I believe the most important part of us is our spiritual side, our souls. That is our true self. Taking care of our souls should be a high priority. Our spiritual health is critical. Too often we try to get well after we are sick spiritually instead of avoiding getting sick in the first place. One soul renewal discipline is to set SOUL GOALS. We need to get to know God better, and setting soul goals can help you do just that. If you are not intentional about growing closer to God you will plateau and not experience all that He has for you. I want to practice Heaven by enjoying now – celebrate the little things in life by starting a grateful journal. I want to have a part in advancing God’s Kingdom – not hinder it. Where can I serve? I want to grow in grace in my relationships – a soft heart, compassion and love for people. What are two things I can do to improve my relationships? I want to laugh more – my life is in His hands. Find ways to have fun and enjoy life. Schedule fun. I want to remain open to God’s changes in my life – His way, not my way. This is surrendering to Him and trusting Him with every part of your life. What do I need to surrender to God? I want to live less like a victim and more like a victor – A broken bone will heal stronger than before. 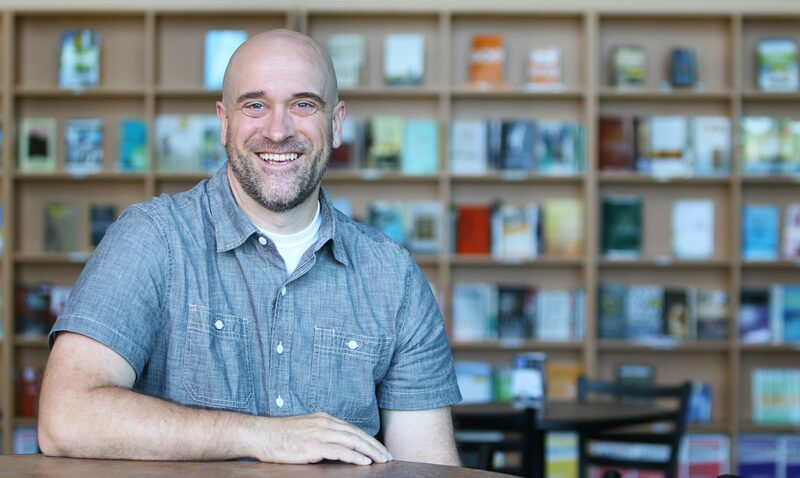 Am I using the trials of life to shape my ministry? God often used the most painful experiences in our life to shape us for ministry and use that pain to help others. How can I use my painful experiences to help others? Look for opportunities to do that. I want to excel in prayer. I need to plan a time of prayer and then have a prayer mindset throughout each day. I want to be a more giving person – time, money, talent. I need to start tithing and serving. When will I start? Another spiritual renewal discipline is PRAYER. To have healthy souls, we must pour out our souls in prayer, both secretly, and in public. Prayer connects us with God; it is a gift we are given because of Jesus. We are each priests, working for God and able to communicate directly with Him. Therefore we need to take advantage of this great gift. Also to find your purpose in life – what He has for you. It also is a way to ask for our needs to be met and for confession of sin. Prayer is a time to intercede for other people and to ask for protection. We need a time and a place to pray. A regular time is essential. We still need to pray throughout the day, but we need a special time each day to really connect with God. Give Him your best time each day, whether that is in the morning, afternoon or evening. Prayer requires a certain level of preparation. The pace of our lives causes our minds to race at fast levels. We have noise all around us that distracts us from our communication with God. Our thoughts are sort of like a bunch of monkeys jumping around on a banana tree. So when you begin your prayer time you need to be at your best and let the monkeys settle down. Take a few deep breathes and allow your mind to slow down and focus on God. We also need to keep our prayers simple. There is a gap between what I am supposed to pray for and what is really on my mind. Simple prayer means praying about what is on your heart, not what you think God wants to hear. In the movie Bruce Almighty, God asks Bruce to pray and he prays for God to feed the hungry and for world peace. Too often that is the extent of our prayers and it never comes from our hearts. Tell God about how frustrated you are at work, or how your neighbor made you mad. Be real with God. Nothing kills prayer faster than when we pretend before God. Prayer like any relationship has to begin in honesty and grow. Another thing that has helped me tremendously in my prayer life is to be fully present. I don’t know about you, but my mind wonders when I pray. I thought this would stop as I grew spiritually, but it did not. I used to feel guilty about this until I learned what it means to be fully present. If your mind keeps returning to a particular topic or person, it is probably an indication that this is the topic or person of most concern to you, and you need stop and talk to God about it. Sometimes my agenda for the day keeps coming to my mind, so I stop and pray for the things on my calendar, meetings, projects and people. Or maybe I keep thinking about a person or persons, so I stop and pray for that person and what is going on in their lives. If you approach these thoughts as stepping stones rather than barriers to prayer you will be fully present with God. There are times that thoughts can be a distraction though and that may mean you need to keep a notebook close by to write down the thought or the thing you need to do, so you can get back with God and really connect with Him. So set some soul goals and make sure prayer is a regular part of your life. Explorers Roald Amundsen and Robert Falcon Scott competed to be the first to lead their teamon an expedition to the South Pole in October 1911. The 1400 mile trip was challenging, and temperatures often reached 20 degrees below zero even during the summer. The terrain was uncertain and unforgiving. The modern communication we rely upon was non-existent. If things went badly, rescue was very unlikely. Amundsen led his explorers to safety and victory, but Scott’s expedition led to defeat. The difference in the leaders’ expeditions was wisdom. Amundsen spent years rigorously preparing for the journey. He learned how to handle polar conditions, and he lived with Eskimos to learn how they survived, what they wore, and how they moved. He studied every possible scenario. Amundsen designed the entire journey to reduce the likelihood of chance events. He carried enough extra supplies to be able to miss every single supply depot and still go another 100 miles, but Scott risked running low on supplies. Amundsen stored three tons of supplies for five men; Scott had only one ton for 17 men. Amundsen brought four thermometers, but Scott brought only one. 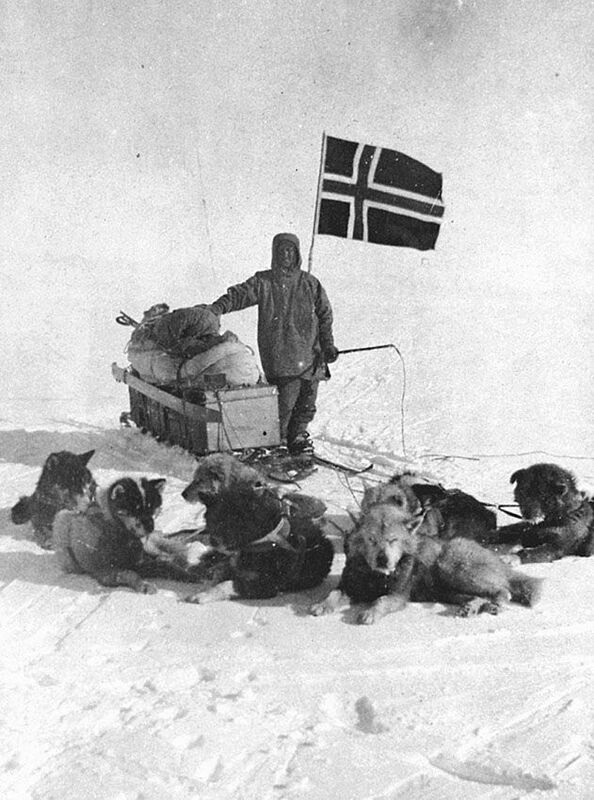 Amundsen used sled dogs, based on the wisdom of the Eskimos. Scott used unproven motor sledges and ponies. The sleds failed, and the ponies died. Amundsen was famous for his “20 Mile March” wisdom, having a set distance the team had to travel daily no matter the circumstances. Scott let the weather determine when his team moved. Amundsen trained his body and mind with rigorous discipline, but Scott’s preparation was limited. He made plans based on his own intuition and opinions, not on direct research of the environment he was entering. On December 15, 1911, Amundsen and his team reached the South Pole. They planted the flag and went right back to work. They reached home base on January 25th, the exact day he planned. Eight months later, a British reconnaissance party found the frozen bodies of Scott and his last two teammates in a snow covered tent just eleven miles short of his supply station. The entire team had perished. Scott’s lack of wisdom led to defeat. There was a pretty big difference between the two explorers right. Amundsen was much better prepared for the journey than Scott. Why was he more prepared? He spent years preparing himself and his team – Always remember that to take on something important, something big we have to prepare for it. We have to practice and work on our skills. So whatever we want to do in life start preparing now. We are always preparing for something, when we stop growing and preparing we often miss opportunities or make critical mistakes and failures. He also learned as much as he could about the South Pole – This is a reminder for all of us to always keep learning and growing. The most successful people in life are the ones that are life-long learners. So just because you are out of school doesn’t mean you stop learning. Keep reading books, keep studying things you are interested in. Keep stretching yourself. There is always something new to learn. He planned for chance events – He knew that there were lots of things out of his control, like the weather. He had to be flexible when things went wrong. No matter how much you plan there are always things that can go wrong. Life has lots of ups and downs, so we need to prepare for those things by making wise decisions and having some backup plans. Amundson packed extra supplies and took more than he needed in case things did not go as planned. In life things often do not go as planned, so prepare to be flexible. He talked to people that knew more than he did, the Eskimos – We can also learn a lot from other people that have gone before us that are older or more experienced than us. Ask questions and learn from people that have been doing the things we want to do. Where I work at a church we go to other churches that are bigger than us, more experienced than us and ask them questions and try to learn what is working for them. He had a system and was disciplined – he planned to go 20 miles every day no matter what. He learned what worked then he stuck with it and followed the plan. Self-discipline is important because we often have to do things we don’t enjoy. To accomplish good things in life we need to work hard, stay focused and stick with it. The Bible has a lot to say about wisdom. King Solomon – wrote most of the book of Proverbs. That’s a great place to start in seeking wisdom. If you haven’t read Proverbs start today. Make is a practice to read through the 31 chapters of Proverbs a couple of times a year. A couple of weeks ago I did a funeral for a 95 year old woman. The family gave me her Bible to look through as I prepared for the service. I’d like to share one of the things that I found. I love that I and I now have that hanging in my office. So what do you believe? As we approach the end of another year I can’t help but reflect on this past year. It was filled with good times, bad times, positive emotions and negative emotions. I cried and I laughed. I opened up and I shut down. I made some good decisions and I made some bad decisions. I got angry and had a negative attitude and I was filled with joy and had a positive attitude. I also learned a lot this past year about leadership, my relationship with God and the baggage that I still tend to carry. If you’re like me this can describe almost every year. However every year I like to ask myself if I have grown in my faith, character and leadership in this past year. For me it’s a big yes this year. Probably more than many other years because of the amount of change I experienced at work. 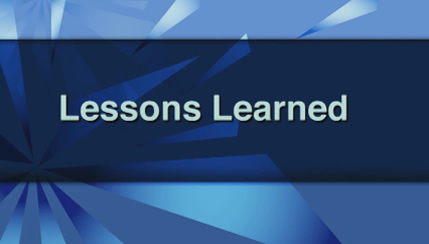 Here are some of the lessons I learned or went deeper in understanding. God opposed the proud but supports the humble – Every time I allow pride to creep into my life I get knocked down a few notches. This often happens to me when things are going well and I start comparing myself to others. It can happen when I’m meeting with someone that is going through a hardship and I think I can fix it with three simple steps. Or when I don’t think a certain strategy or decision is the best and my way is better. Or if I don’t pay attention to my wife and just do what I want. I keep learning and understanding more deeply to humble myself and in due time the Lord will lift me up, but it’s his decision not mine. I need to remain faithful, work hard and focus on doing what is right and good and submit to God and other people. Value your relationships because life can change in an instant – I was reminded through several tragic events that life is precious and things can change very quickly. I was reminded to spend time with the people I love and to work on those relationship by practicing forgiveness, communicating clearly and often and by loving well. The Bible says to love extravagantly and that we are bankrupt without love. Learning to love or how to express love is one of the best things we can do to improve our lives and value the people around us. Having the hard conversations is a game changer – Conflict is not fun and many people tend to avoid it. However if you want to grow, make progress, change for the better or have less stress, then you must deal directly with conflict. Learning to admit when your wrong and confronting issues quickly when they come up does not allow things to fester and get infected. I had many hard conversations this past year and most of them ended well and improved the relationship or the situation. Resolving conflict is hard but it leads to relational, emotional and physical health. Vulnerability and openness are strengths not weakness – I studied and read a lot about vulnerability, shame and courage this past year. It takes great courage to be vulnerable and be honest, but when you do it, you experience great freedom, creativity and strength. I became more vulnerable in some of my relationships and took some risks by sharing more of me with others. I grew in confidence and courage by facing the junk in my life head on and sharing that with some trusted people in my life. Everyone knows your not perfect so stop trying to be, take off the mask and be real, that’s when things start to change. Emotional health is one of the most import things a leader can have – Being healthy emotionally allows you to lead at a high level and take on enormous responsibility. However staying healthy emotionally takes constant work just like staying physically healthy takes constant work. Caring for your soul and understanding your emotions is a sign of maturity and leadership. Sometimes you have to go to a professional counselor in order to break through some of the emotional walls that come up in your life. It’s always worth the time and energy and money to get healthy emotionally. When you keep God first and submit to Him other things fall into place – My relationship with God has grown and deepened over the years, but this did not just happen, I had to be intentional. I have found that the more time I spend with God the more I can accomplish, the healthier I am and and the lower my stress tends to be. Having a spiritual rhythm in life is vital. What I mean by rhythm is having a thriving prayer life, feeding on God’s word regularly, being silent and being with God and living a life of worship. That is staying focused on the most important thing in life, your relationship with Jesus Christ. When that is growing the rest of life tends to be healthier as well. Keep growing in Faith, Character and Leadership.